We are a community of creative pioneers, harnessing the power of design to build a better future. We constantly explore and leverage the physical and digital landscapes, by engaging people through design-related programming. We are designers, strategists, writers, developers, students, educators, directors and volunteers. We call Central Virginia Home. We are AIGA Richmond. The mission of AIGA Richmond is to be the voice for Central Virginia’s design community. We accomplish this by connecting people, impacting culture through design, and advancing design as a profession. 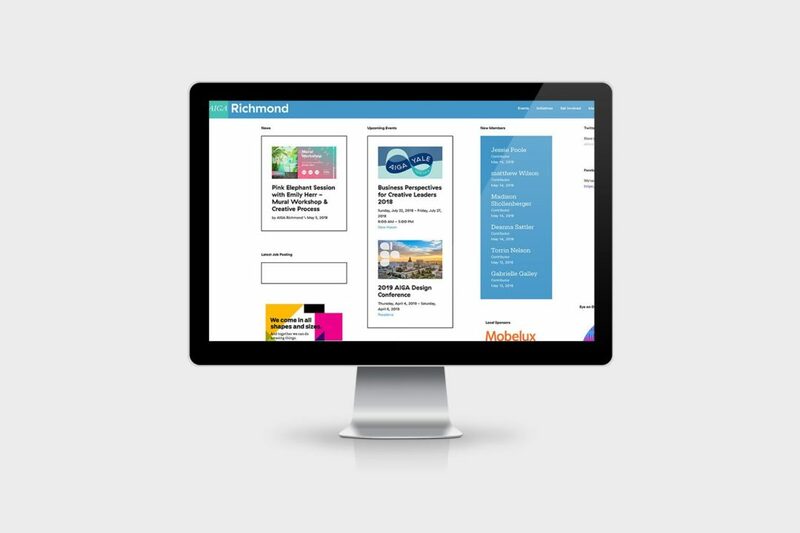 AIGA Richmond needed to have a strategic partner that was involved with and understood the needs of the organization as a local chapter of a national non-profit organization. We have helped to update the brand image and website to match the standards that the national AIGA organization has put in place for all of its’ local chapters.